When you think about wearables, you likely think of computer wrist gadgets that can track your distance, calories, heart rate, and so on. And when you think of wrist gadgets, you often believe that they’re intended for adults (at least teens, anyway). Well, Verizon has two new gadgets for children, the LG GizmoGadget and LG GizmoPal 2, that will allow parents to keep track of their children, call, and text them, all while allowing children to have fun with their wrist wearable. The LG GizmoPal 2 is offered in either pink or light blue colors, with LED lights for status notifications. Parents can set GPS boundaries and be notified when their children go beyond the boundaries pre-set. The GizmoPal 2 is water-resistant with a rating of IPX7, meaning that there’s only water protection here (not dust protection). Your children will enjoy recording their voices and hearing it on playback. The LG GizmoGadget offers much of the same, but has a 1.3-inch touchscreen (as opposed to the LG GizmoPal 2) and allows children to send pre-recorded messages and emoji. Both the LG GizmoGadget and the LG GizmoPal 2 are customizable, with wristbands of different colors available. The LG GizmoPal 2 costs $79.99 while the LG GizmoGadget costs $149.99. Both new smartwatches are compatible with Verizon’s network, allowing you to give your children (and yourself) the ability to interact with these devices for just $5 a month as an additional charge on your bill. The $5 monthly fee, mind you, is the same as that of Samsung’s Gear S and the Korean giant’s Gear S2. 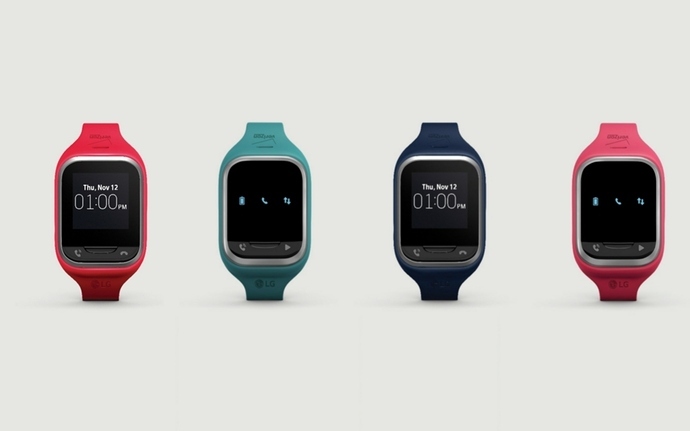 What do you think of these new kid wearables? Anyone ready to get their kids started in wearable tech early on? Do you think this will help parents keep track of their children? Should parents want to keep track of their children?